SBC Theatre Company was founded in 2010 by Rosie MacPherson and John Tomlinson. In 2016 we welcomed new member Hannah Butterfield. Rosie is a playwright and actor. 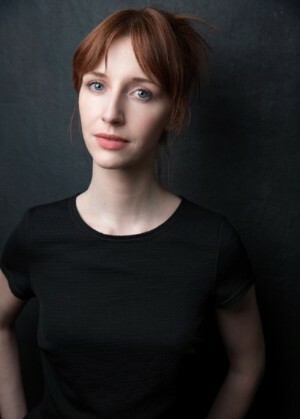 She is the winner of the British Independent Film Festival - Best Actress Award, a member of Soho Theatre Writer's Lab 2017/18 and a recipient of the Peggy Ramsay Foundation grant for new writing. She is partnering with Action Aid in 2018 to write a new play and has recently returned from touring Brazil, in ‘Efemera’ by Gael Le Cornec. Inside (Theatre503, Gilded Balloon, Edinburgh Fringe 2013, UK Tour) Century (Sheffield Theatres), The Nest (NIHR & Salford Royal NHS foundation) HomeFront (Jermin St Theatre) and Tanja (Two UK tours, Pulse Festival, Migration Matters Festival, Houses of Parliament) and Where We Began (UK tour). Rosie’s acting credits include lead roles in TV movie Border Queen and feature films Run Away With Me and Misplaced. Doctors, Ideal (BBC), Emmerdale (ITV), The Plantation (BBC, BAFTA Nominated), What’s The Story? (Channel 4), Club Skin (Cannes Film Festival) and Powder (Theatrical Release). Rosie can currently be seen in 'Natalie' opposite Kate Dickie directed by BAFTA winning director Mikey Murray. Edinburgh Fringe Festival, FLARE festival Manchester and GIFT Festival in the North East. She has also performed with a number of choirs including the National Youth Choir of Great Britain and has performed at Sydney Opera House and The Royal Albert Hall. John is Associate Producer at York Theatre Royal, Producer for SBC and a freelance producer. His previous role was Programme Manager at Contact, Manchester. 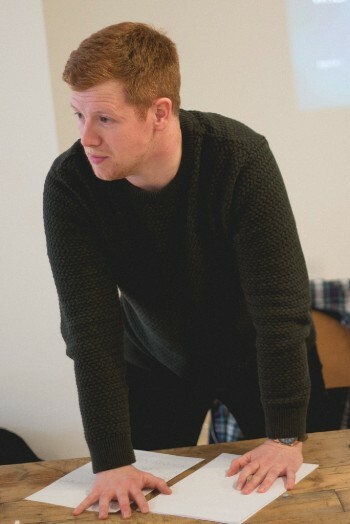 As a freelance producer, he has recently worked on a research and development project for Leeds Playhouse and The University of Leeds, working with local communities in Yorkshire. He was also recently Associate Producer on the Somme 100 project to commemorate the Battle of the Somme at Heaton Park, Manchester. John was previously Assistant Producer at Sheffield Theatres, having completed a year as the Stage One Regional Producer. During that time he led and set-up 'Making Room' at Sheffield Theatres with Third Angel, a network and platform to support emerging artists and companies in South Yorkshire. He also worked as the producer for award-winning poet, writer and performer Ben Mellor (BBC Radio 4 National Poetry Slam Winner). John was part of Contact’s Re:Con scheme for young producers and programmers and has a First Class BA (Hons) Degree in Media and Performance from The University of Salford. He is also a member of the board of trustees for Theatre Delicatessen in London and Sheffield.